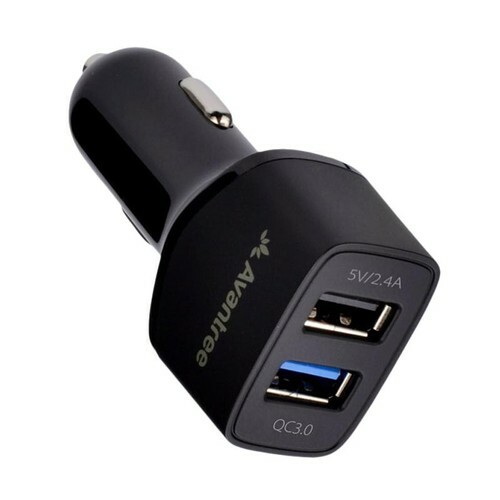 - 30W/5.4A & Dual USB port car charger can fast charge two devices simultaneously. - QC3.0 port can charge compatible devices 4x faster than conventional chargers, such as LG G5, HTC One A9, HTC 10, etc. - Compatible with QC3.0/2.0/1.0. Also be compatible with standard charging devices. - Perfect design with protection for over-load, short-circuit and over-heating etc.